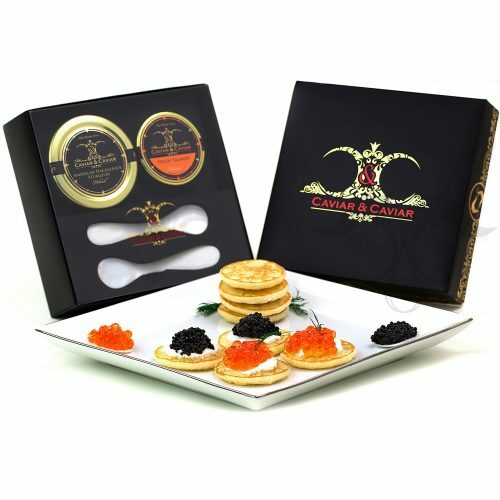 This is a nice caviar gift set selection of two of our favorite caviar assortments. Impress and indulge. 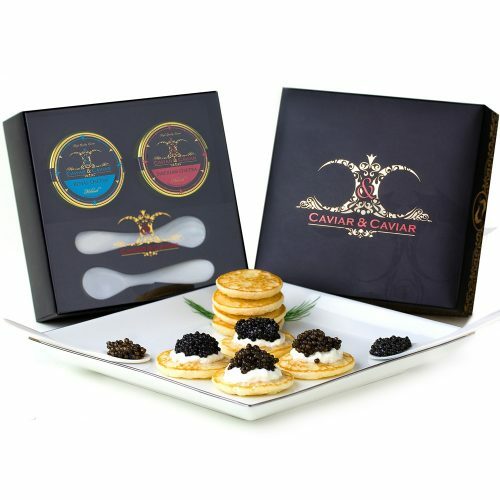 Looking for the perfect caviar gift box set or just can’t decide between two of your favorites? 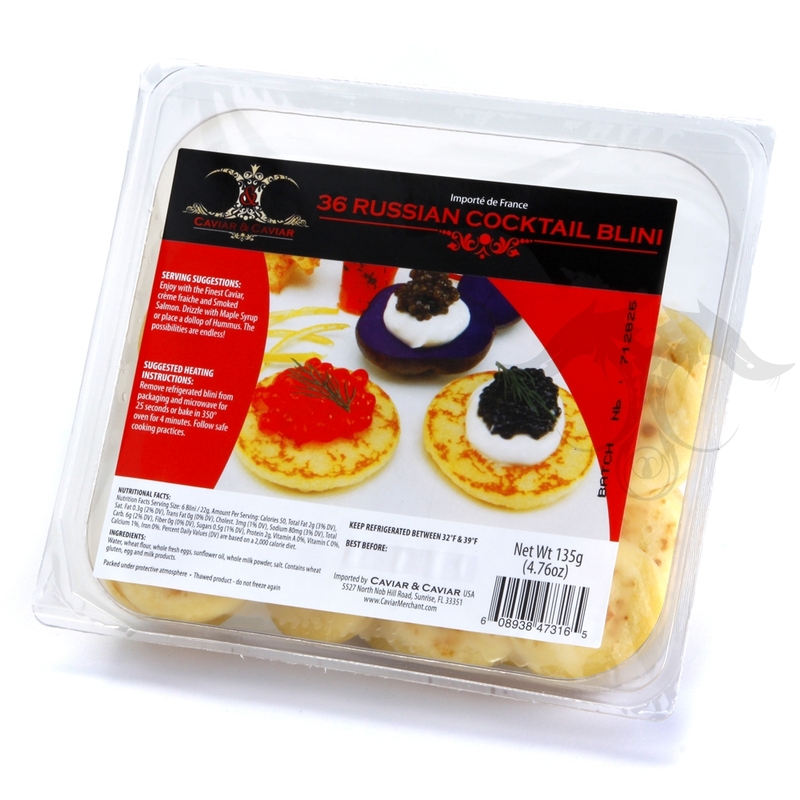 Russian Sturgeon Caviar & Siberian Sturgeon Caviar along with two mother of pearl spoons and a pack of Russian blini all in one! Some dreams do come true. 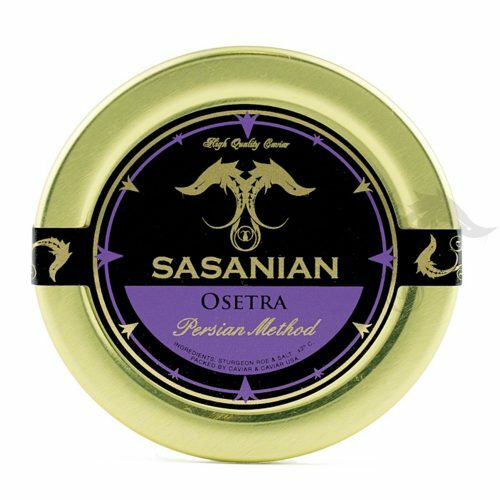 Sasanian Siberian Osetra Caviar is a true delight and excellent to enjoy in a variety of culinary applications. 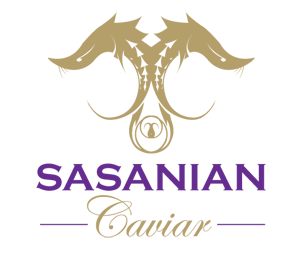 This selection of caviar has been produced from purebred Siberian Sturgeon which is now farmed and sustainable. Siberian Osetra Caviar is produced from the Acipenser Baerii which we offer with much enthusiasm. 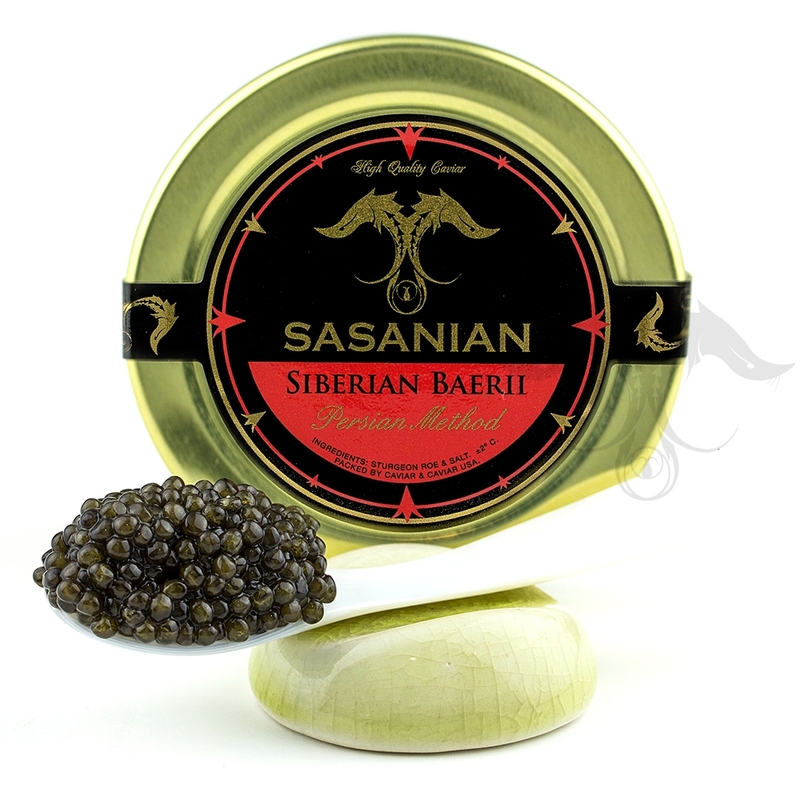 Our Sasanian Siberian Baerii Osetra provides a genuine and modest Caviar experience and is an excellent garnish or introductory ballad into the world of caviar. Siberian Osetra provides a medium dark pearl that is creamy in texture and follows through with a crisp and nutty taste. The Siberian Baerii is the ethical and sustainable alternative to Caspian Sevruga Caviar, at a fraction of the cost. Our Siberian Sturgeon Caviar is produced year round and is extremely fresh. 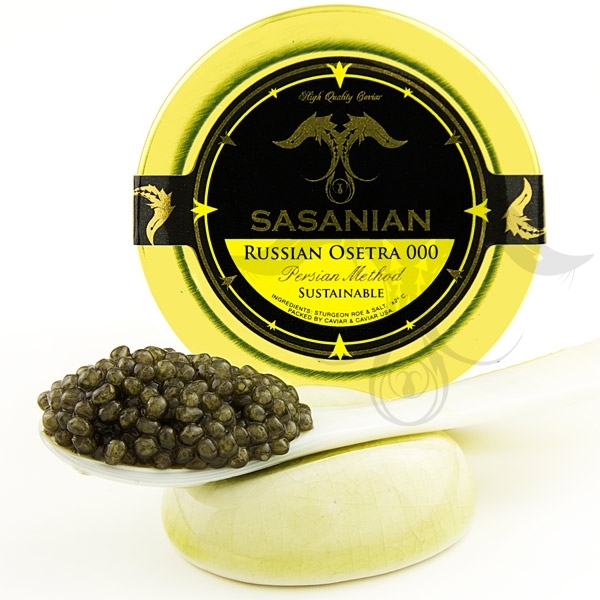 Sasanian Russian Osetra Caviar is a result of pure innovation and drive to maintain the continued production of the cherished Caspian Species of Russian Sturgeon. With regard to sustainability, ethics, quality, and traceability we’ve taken what nature has to offer, have perfected it, and exceeded the prior standards of wild Caspian Caviar. 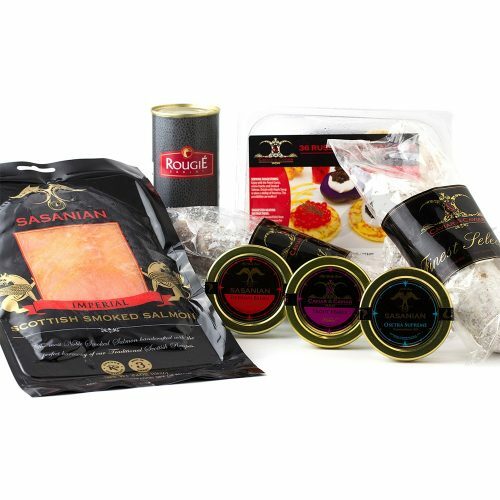 We can now offer a pure breed of the Acipenser Gueldenstaedtii Sturgeon, which translates from Latin to “Russian Sturgeon” and are now offering this caviar to our valued clientele.